I'm probably one of the few who haven't read it. 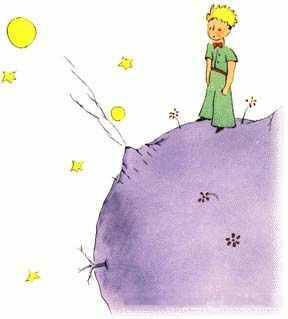 I've heard for as long as I can remember that The Little Prince was a book I just had to read! It took some time before I followed all the advice I got about reading it. Now that I have read it, I can't understand why I didn't read it before. It's such a lovely book! I love the way the book asks philosophical and existensial questions in a simple and easy way. The book has charm and is clearly a children's book written for adults! I want to read this one out loud for my daughter. The drawings in this book is charming and just strengthen the expression of the book.